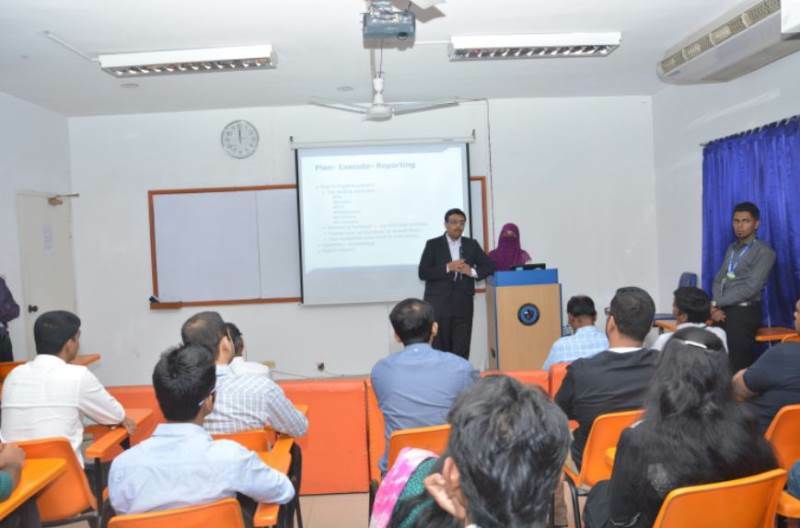 Saturday 14 March 2015 IEEE AIUB student branch organized “Technical seminar by IEEE Region 10 Delegates” on 9th March 2015 at Room no. 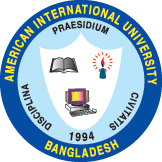 266, Building 2, Faculty of Engineering, American International University-Bangladesh (AIUB). 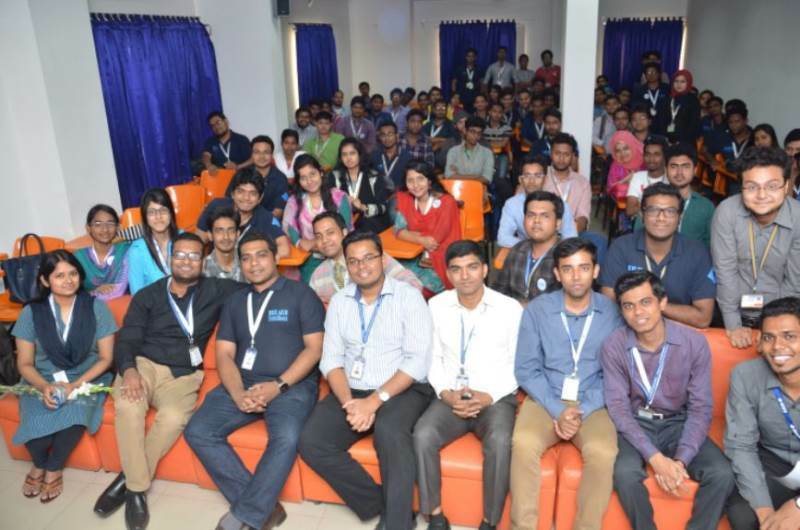 As an active and vibrating student branch with the largest number of over 200 members under Bangladesh Section, IEEE AIUB Student Branch had the honor of having 4 of the delegates who were in the country to attend the prestigious IEEE R10 Meeting 2015 in Bangladesh. 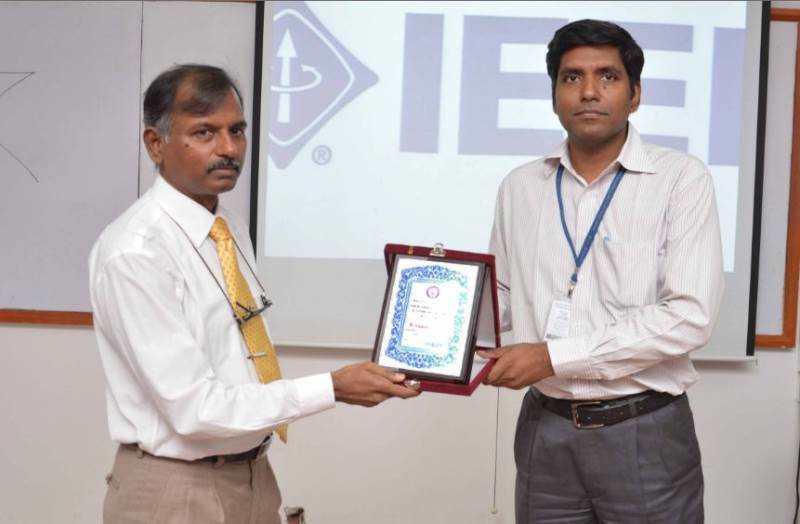 Mr. Farhadur Arefin , Assistant Professor(EEE Department) and Counselor of IEEE AIUB Student Branch initiated the seminar by expressing gratitude towards the speakers for joining the seminar as guest speakers. Then a video was presented about the recent activities of IEEE AIUB STUDENT BRANCH for the guest speakers. 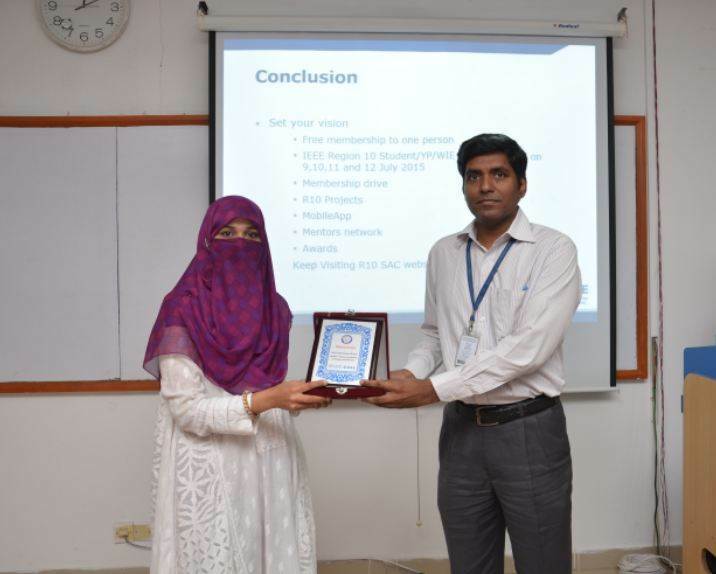 At first, Ms. Mehvish Zahoor , Regional Student Representative, IEEE, Region 10 discussed about the workings of IEEE and its local and international aspects. She started her presentation telling about how she started her volunteering & her inspirational journey with IEEE. She asked some questions to the members about Student Branch, Affinity, Societies, Regions and Sections to get these concepts clear for the attendees. She shared her experiences about winning the Best WIE Volunteer award back in 2012 by IEEE Region 10. She was also the leader in National WIE Summit, 2010. She shared her achievements with the members and ended her speech by telling the members about how to apply for the IEEE awards and the benefits after being an IEEE member. Then Mr. Ahsan Farooqui, Treasurer, IEEE Young Professionals, Islamabad told the WIE members about how to get registered in WIE Affinity Group. He also discussed about how to deal with the offices for sponsoring events. Next Professor Sri Niwas Singh Chair Professor, Department of Electrical Engineering, Indian Institute of Technology Kanpur and Conference and Technical Seminar Coordinator, IEEE Region 10 gave a talk on “Issues and Challenges in Smart grids” which is a topic of great interest to the student members. 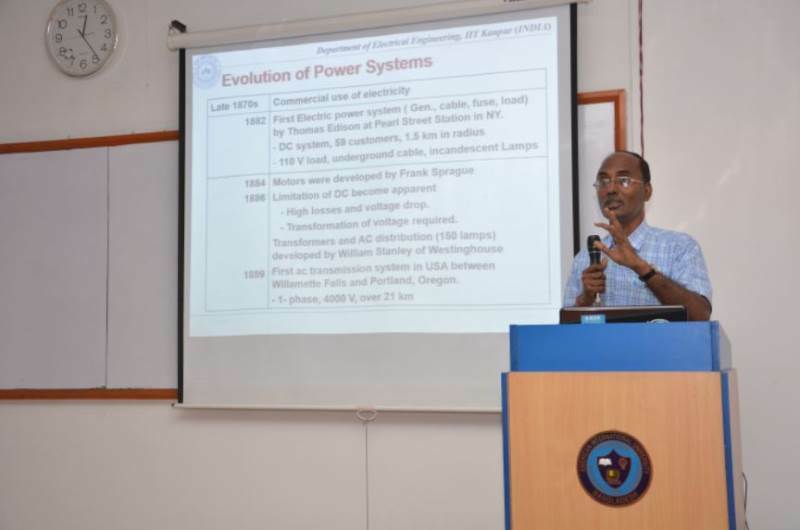 He shared his knowledge about grids and explained the evolution of power system in such a manner that students became a big follower of his research activities after hearing the speech. Lastly Mr. Arokiaswami Alphones, Associate Professor (Dept. 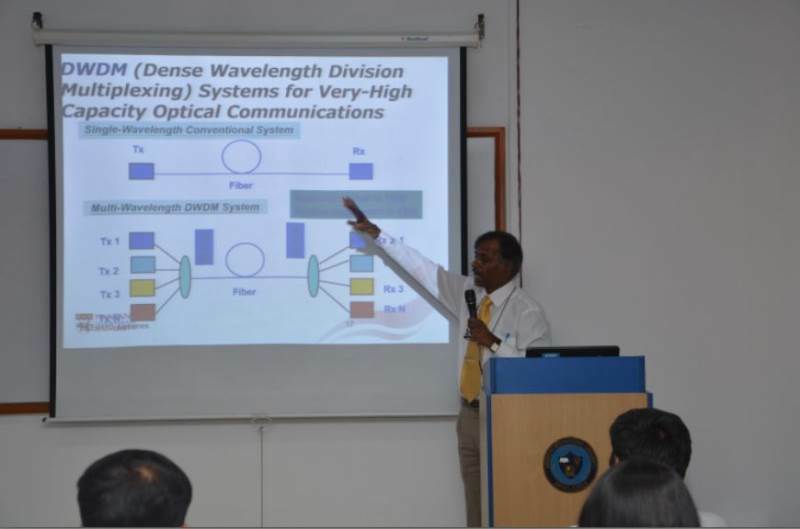 of Communication) of Nanyang Technological University, Singapore and Chairperson of IEEE Singapore Section presented a talk on “Mobile Communication Systems”. 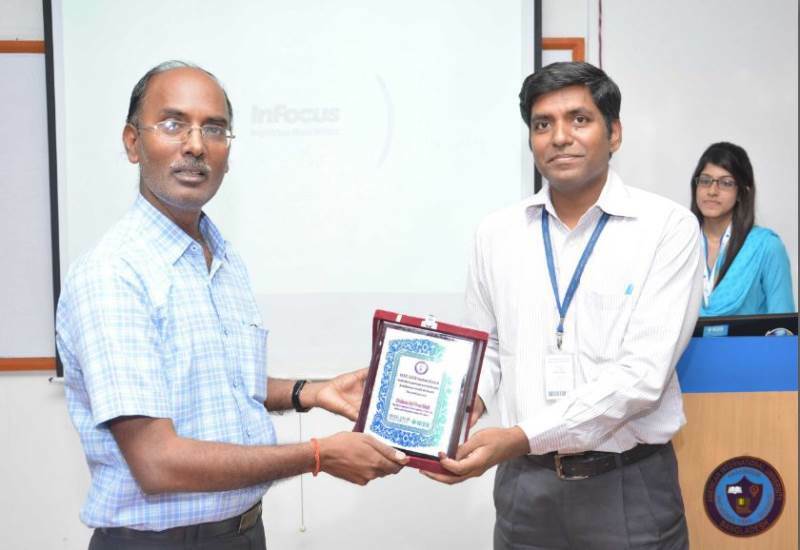 He gave acknowledgement about EM spectrum, personal communications and mobile system generations. 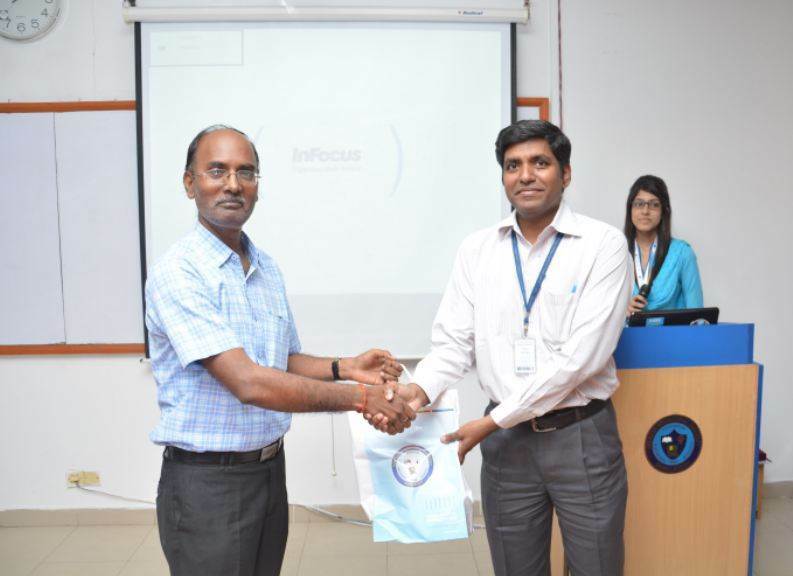 Mr. Farhadur Arefin handed over small tokens of appreciation to the speakers and thanked them for their contribution in the event in their busy schedule. He expressed gratitude to Dr. Carmen Z. Lamagna, Vice Chancellor, AIUB, Prof. Dr. ABM Siddique Hossain,Dean, Faculty of Engineering,AIUB, Mr. Manzur H. Khan, Director-OSA, AIUB, Administrative Officers of Building 2, AIUB & IEEE Bangladesh Section for their cooperation and appreciation towards IEEE AIUB STUDENT BRANCH. He also thanked all the student members for being present in the seminar. Ms. Tasnuva Tasneem, Lecturer(EEE Department), Faculty of Engineering and Faculty Coordinator, WIE AIUB SB encouraged the female students to cooperate with her to get registered in forming WIE affinity group at AIUB. 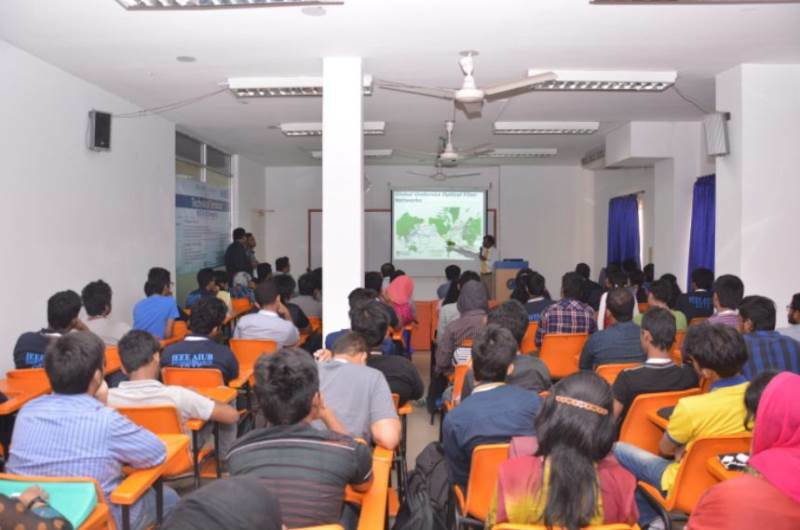 Around 120 engineering students and IEEE members attended the seminar and received the opportunity to interact with and learn from the speakers. 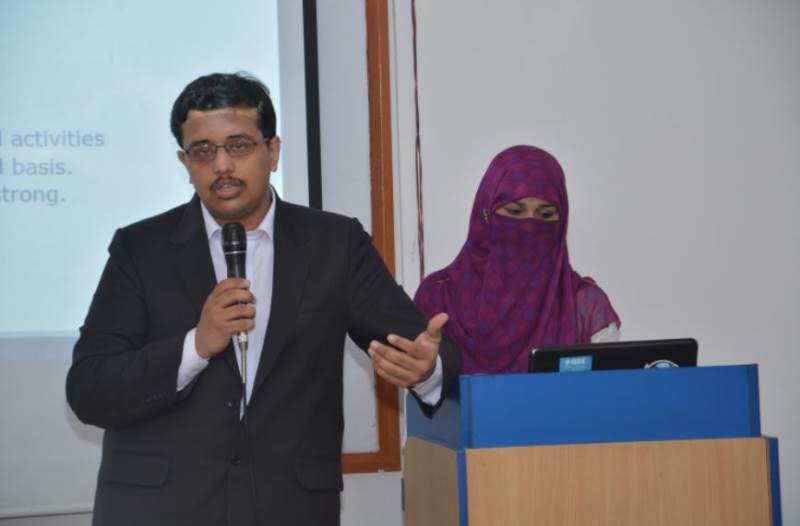 Mr. Chowdhury Akram Hossain, Assistant Professor(EEE Department) and Mentor of IEEE AIUB Student Branch, Mr. Md. 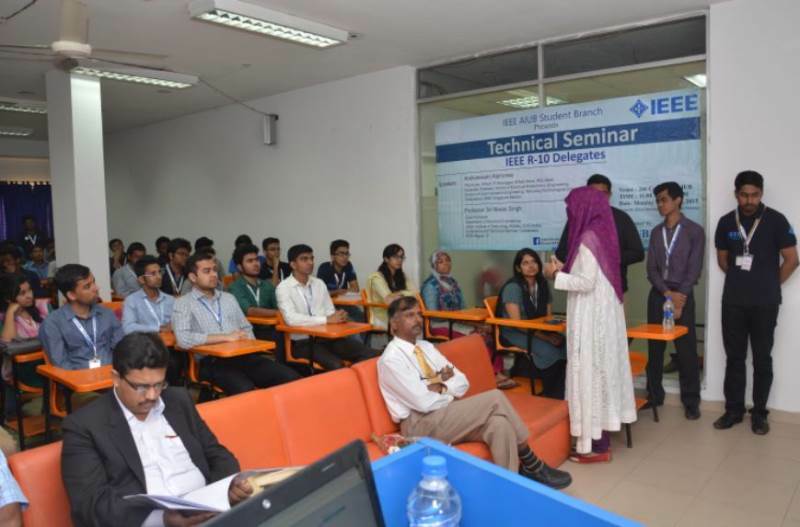 Saniat Rahman Zishan, Assistant Professor(EEE Department) and Advisor of IEEE AIUB Student Branch and Mr. Shahriar Hasan, Lecturer and Motivator, IEEE AIUB SB were also present and guided the organizing body throughout. 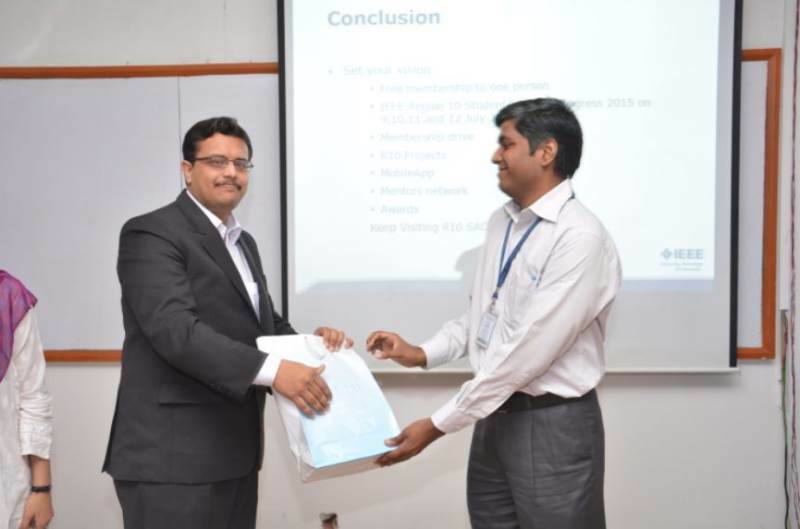 The event was also graced by the presence of Mr. Sayed Muhammad Baker, Mr. Md. 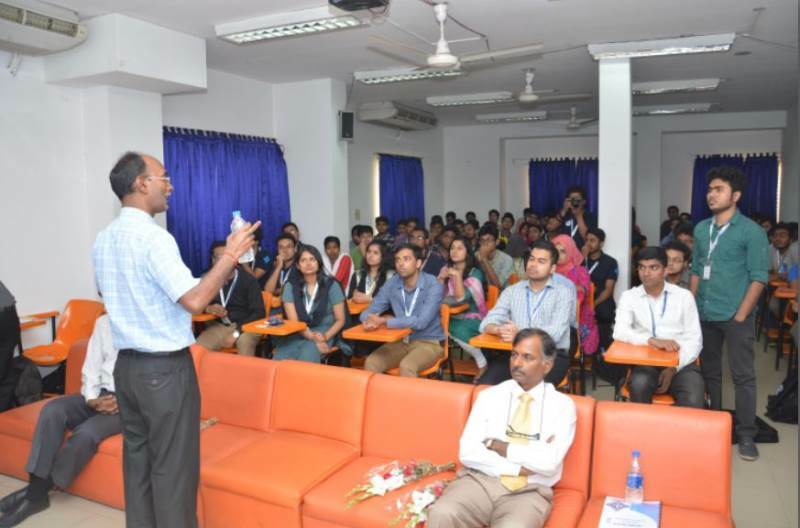 Sajid Hossain, Mr. Mehedi Hasan, Lecturers of Faculty of Engineering, and Mr. Kazi Asif Ahmed Fuad , Mr. Rifat Hazari, Teaching Assistants, Faculty of Engineering. The event concluded with a vote of thanks from Mr. Nasim Al Islam, Chairperson of IEEE AIUB STUDENT BRANCH and snacks distribution among all attendees.